Toyota will soon be making way for more stylish version of Fortuner SUV named as Fortuner TRD Sportivo. As you can estimate from the spy images, Fortuner TRD Sportivo will be blessed with additional bits like TRD-badged skirts for the rear and front bumpers and also a roof mounted spoiler. As we have already seen in the other TRD Sportivo special editions of the Etios and Liva, Toyota may add monor interior upgrades to this special edition Fortuner. Sources tells that changes may be simply cosmetic rather than mechanical. What actually remains a mystery, are the versions that will be available with TRD Sportivo kit. At present Fortuner is available in three varients, 4×2 manual, 4×2 automatic and 4×4 manual. 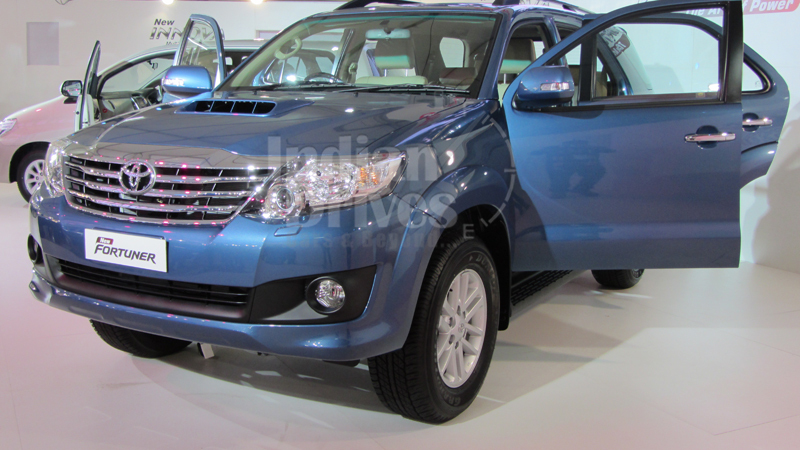 The new Fortuner is expected to be priced slightly higher than the standard variants of the current version.